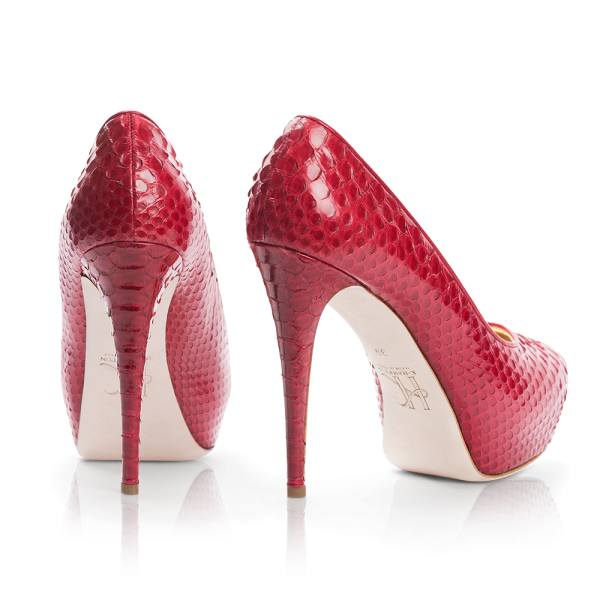 A symbol of bold determination and unwavering spirit. 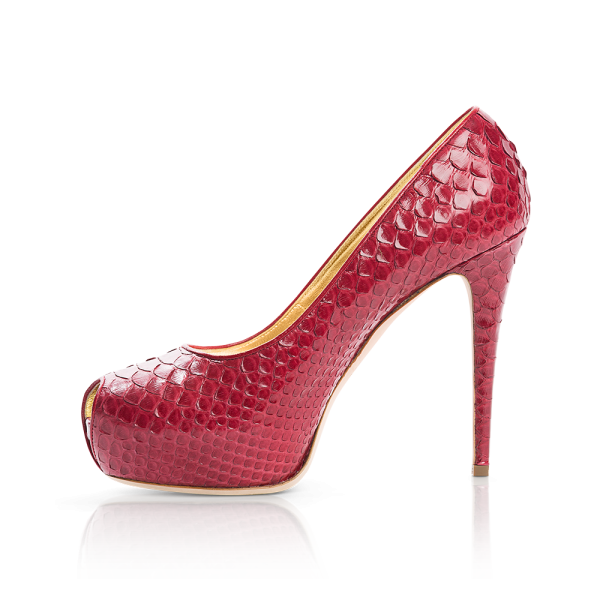 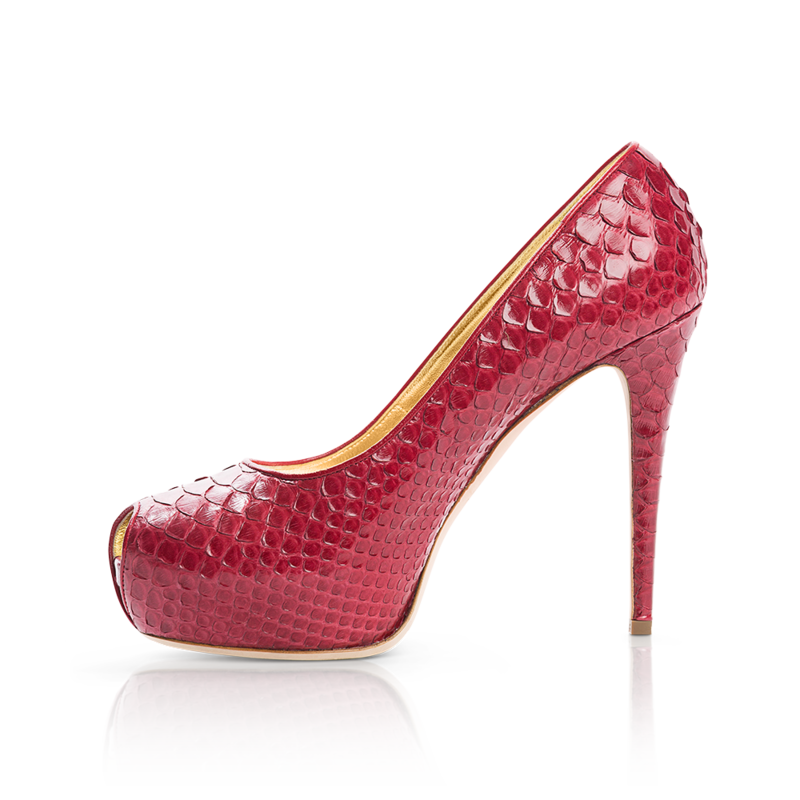 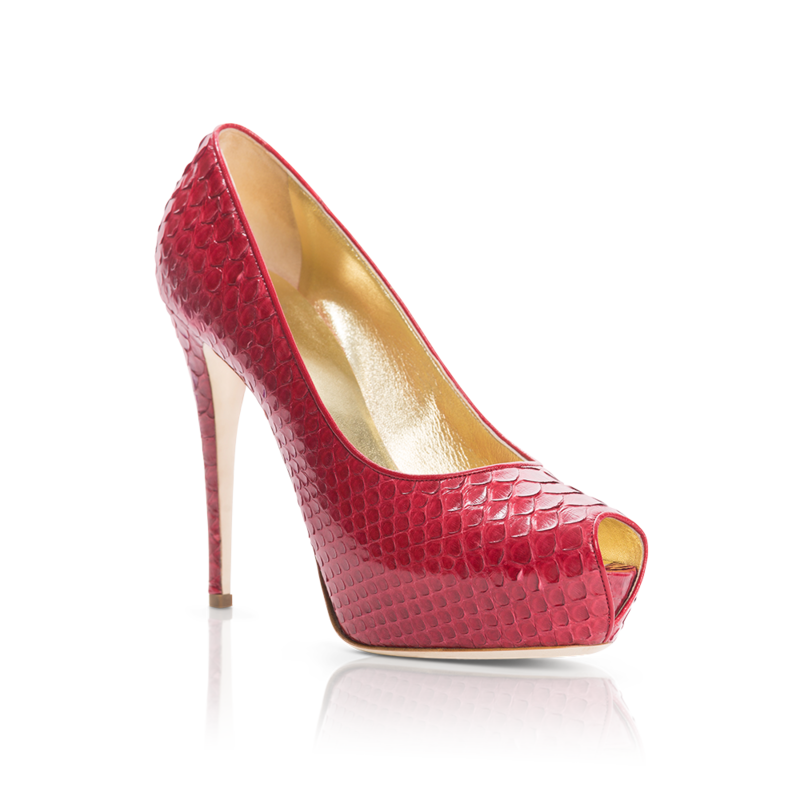 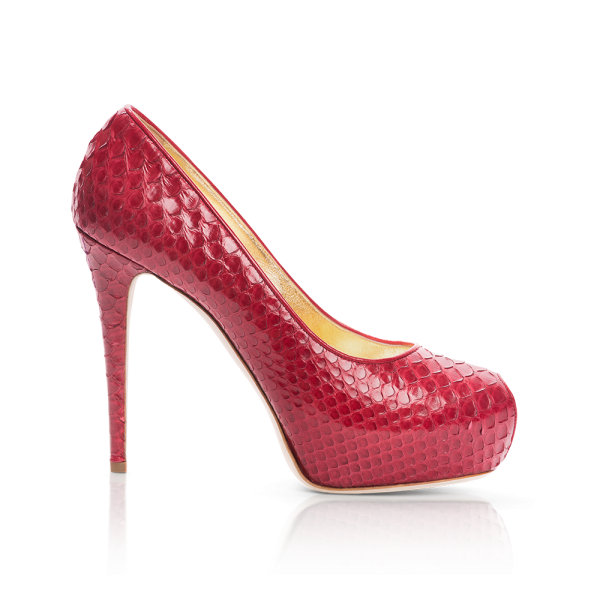 A red python stiletto with a peep toe. 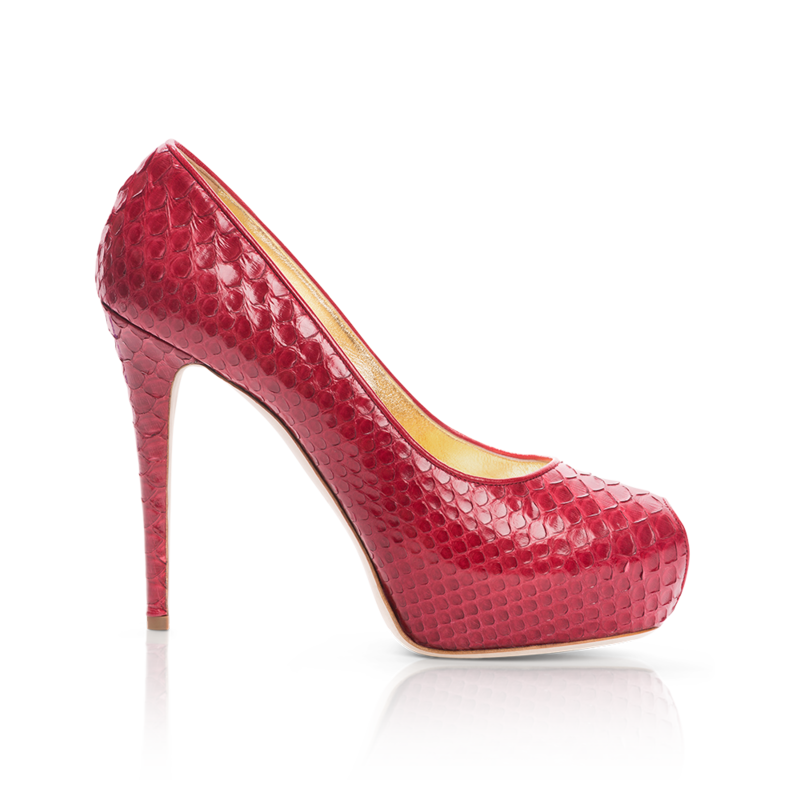 Our hidden platform marries comfort with style.